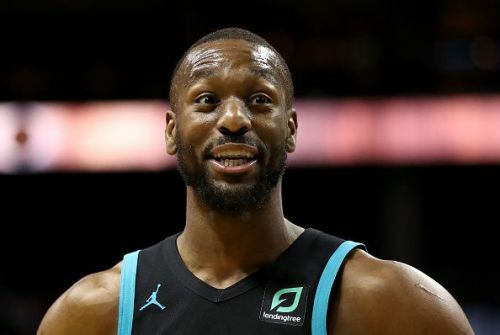 After spending his entire career to date with the Charlotte Hornets, Kemba Walker will this summer have a big call to make on his future. The soon to be free-agent must choose whether to chase a ring with another team or hope the Hornet's can miraculously get their act together. The fate of teams like the Grizzlies and Hornets could be riding on the remainder of the season. If Charlotte misses the postseason, perhaps Kemba Walker is more likely to leave, making him an option for the Lakers. When Kemba Walker entered the NBA as a 21-year-old back in 2011, few expected him to develop into an All-Star. Nevertheless, the 6 ft point guard has excelled thanks to his athleticism and ball-handling skills, and Walker has also managed to drastically improve his shooting. While Walker is not considered in the same elite bracket as some of the other top upcoming free agents such as Kyrie Irving and Kawhi Leonard, there is no doubting that the Hornets man would be a great addition to a struggling Lakers roster. Walker is also a player who would seamlessly fit into the starting lineup alongside LeBron James, and the 28-year-old could prove to be an excellent alternative option to Kyrie Irving. Tomorrow night, the struggling Lakers will host the in-form Brooklyn Nets.